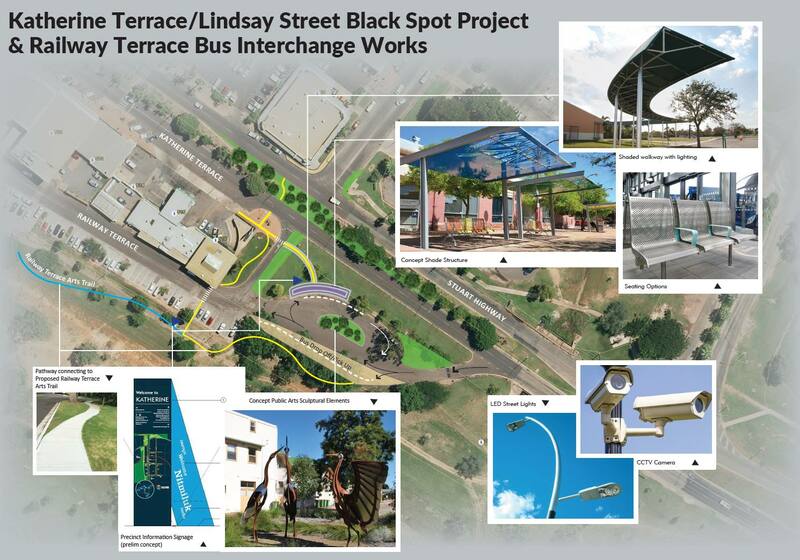 Following safety concerns raised by the community and multiple incidents at the intersection of the Stuart Highway (Katherine Terrace) and Lindsay Street/ Railway Terrace, a road safety audit was conducted and upgrades have been identified to improve the safety of this intersection. Consultation is now open on the intersection design:. Residents and businesses in Katherine and those who utilise the intersection are invited to provide feedback on these proposed works. You can submit your feedback by emailing roadskatherine.ntg@nt.gov.au. Works on the intersection upgrade are expected to commence in early 2019. View the project Fact Sheet (600.2 kb).